Back Care – You Want Me To Lift How Much? 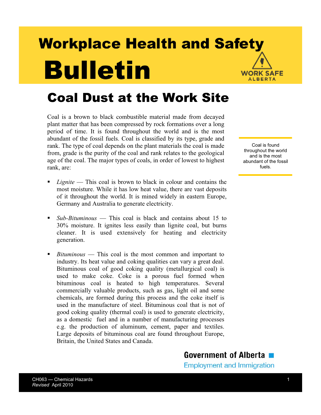 As with the other provinces and territories in Canada, Alberta has no specific law regarding the maximum weight a worker can lift. 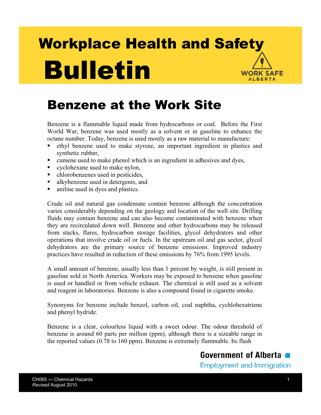 Benzene is a flammable liquid made from hydrocarbons or coal. Before the First World War, benzene was used mostly as a solvent or in gasoline to enhance the octane number. This guide is composed of two sections. Section I provides definitions, a general idea of conveyor components, an overview of mechanical hazards and information about hazard assessment and reduction. 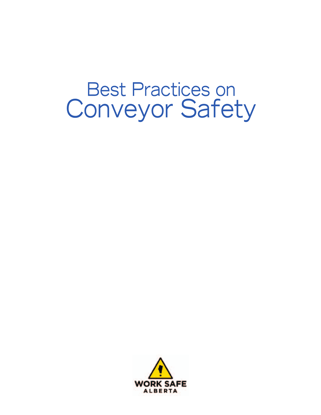 Section II covers safeguards against hazards during operation and maintenance of conveyor systems, and related worker training. 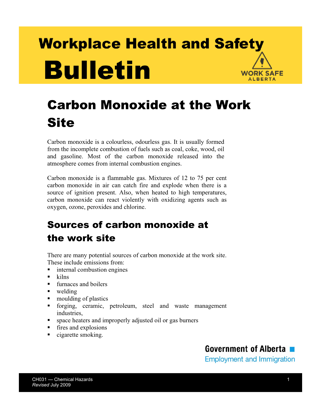 Carbon monoxide is a colorless, odorless gas. It is usually formed from the incomplete combustion of fuels such as coal, coke, wood, oil, and gasoline. 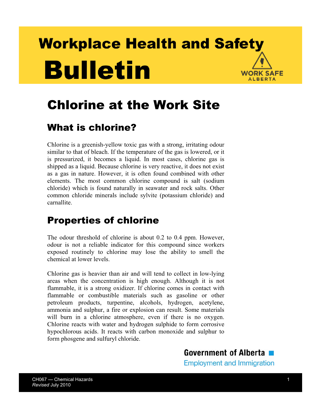 Chlorine is a greenish-yellow toxic gas with a strong, irritating odor similar to that of bleach. If the temperature of the gas is lowered, or itis pressurized, it becomes a liquid.